Colours: Snow white - new navy. 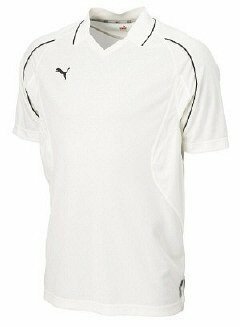 Details: High performance playing kit with a very modern look and feel. 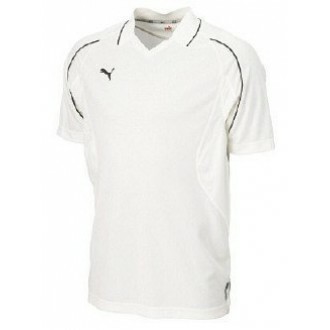 Designed for the dynamic cricketer looking for maximum comfort, contemporary styling ease of movement. Innovative playing shirt. Modern styling and performance. USP moisture management fabric. Anatomically placed mesh ventilation panels. Contrast piping trim. Embroidered Cat branding. Please select from available sizes in drop down list below.